Personality: Vinyl isn't you nicest cat. She has a past of being tricky and a fugitive. She hardly ever shows emotions and almost never smiles. She is a very skilled warrior and is one of the best in shadow clan. She has a tendency to rebel against orders even though she looks up to her leader(literally). When out on field she is often times a leader and plays the role well. Her tactics are often seen as foolish to her comrades. This is because she is very patient with executing the strategy. She deeply believes in trust even though she doesn't express her trust. If you are a friend of Vinyl then you could tell that just by what she says everything is true, but she lacks friends. History: Vinyl was born in the backyard of some twoleg. Her family was given the scraps of food as their meals. She never liked eating the twoleg scraps so she began teaching her self the means of survival. By the time she was 10 moons she seemed like a warrior with all the skills she has taught herself. At this time she took a separate route than her family and became a rogue. She gained two friends in her rogue years and often picked on Bloodclan- stealing food, destroying dens, and irritating the warriors with their mockery. She became the leader of the group of four and lead them well. 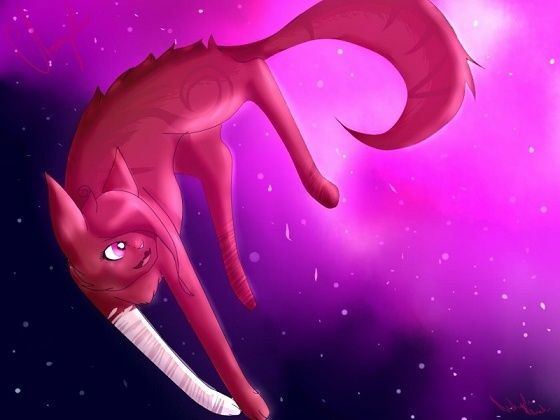 When she was 14 moons old her group was finally captured by Bloodclan. They were given two options. The clan liked her exceptional skills with battle and tricky and offered her a position in the clan. If she refused then she would've been handed off to another group of dangerous rogues that they picked on and be killed. She accepted the place in Bloodclan only if her three followers were accepted. By the time she was 16 moons she lost her three friends to a pack of dogs, of which she gladly killed two out of revenge. She was given a new patrol group. To this day the patrol group she has remains alive. Her group is often a border patrol group and will engage in battle if needed. She has vowed to never raise a claw if she loses one by if she loses all then whoever killed them will either leave badly wounded or never live to see the stars twinkle above again. Appearance: She has the coat of a Russian blue cat while she gains the height and eyes from the Korat part of her. Physical Weakness: Doesn't associate her feelings with anything, can go to far, and comes off as... weird I guess. Fears: What fears? She has nothing left to fear now for it already happened. Family: No here truly knows about her family because she refuses to talk about it. All she will say is that she was an outcast and fugitive to them and was often abused. Mate: Refuses to sacrifice herself for some tom. Extra: Those in her clan say that she is like an dark forest warrior of destruction in disguise and was sent down to help them rise above the rest. That gave her the name Illusionist and her small height compared to all gave her the nickname Shortie. Though Shortie isn't used often. RP Sample: A ravens wing cut through the star cover veil above their heads. Four cats gazed up at the stars. Two sharing a similar ginger tiger pelt, another coated in white, and the other in a silver-blue coat. A ginger tabby turn his head away from the stars and looked at the grey one. "Vinyl, was it a good idea to join Bloodclan." Vinyl remained still before nodding. "If it meant you guys are safer than before, then yes. But the yet I harbor these feelings that we are no where near safe... not yet." She sighed and looked at them. "Tiger, Snow, Free, no matter what happens don't die when I am not around." She mewed. "The same goes for you Vinyl." The other ginger, Free, mewed. Vinyl let out a soft sigh once more before examining her followers. She gazed up at the stars and et a small smile appear. "Deal." Hey Vinyl, nice to finally meet you! Your character sheet looks perfectly fine. 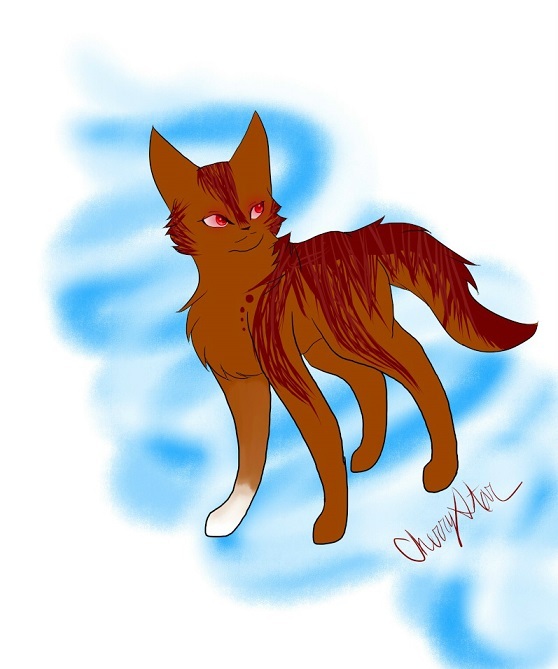 By the way, I'll promote you to Deputy of Bloodclan. No questions asked. » Vermiculite: How many small bags per box?